Hi, I’m Marit. Welcome to my site, where you will find practical and straightforward information on current nutrition and health topics. I am super passionate about how tasty food and enjoyable exercise can change your body and your life. 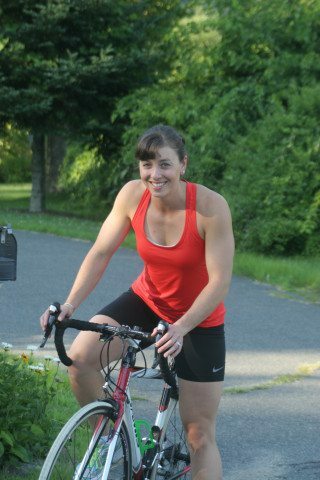 I work as a Registered Dietitian in Hadley, MA. I do private nutrition counseling and use my background in personal training to include movement recommendations based on your goals, preferences and abilities. I specialize in digestive disorders, including heartburn, IBS, celiac disease, Crohn’s disease, ulcerative colitis, and diverticulitis. If you struggle with body weight issues, low energy, poor digestive health and frustration with your body and emotional state, YOU ARE NOT ALONE. I help people like you, get their lives and bodies back by focusing on a functional medicine based approach to food and lifestyle. I help sort out fact from fiction and prioritize changes for the greatest outcomes. Together we design a reasonable plan with both short and long term goals. We will focus on the logistics and any concerns along the way. Prepare yourself to feel better than ever before… change awaits you! Check out what people are saying about their new lifestyle change. Want to get started? Call me at (413) 335-4381 or email me at marit@maritharney.com and then click below to fill out the initial intake form. Please note, you must call or email me before or after filling out the form.